These low to mid rise, elastic free, yoga bottoms are designed to be just as comfortable whether working out or lounging around the house. Use them as an elastic free pair of leggings or even as long underwear for layering. 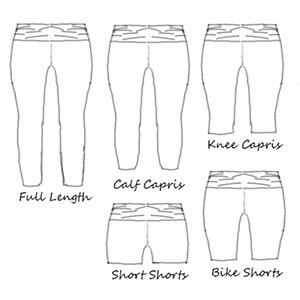 If you want a more casual ‘around the house’ yoga bottom or maternity wear you can make them 1 size larger. This pattern includes sizes XS through 5X with 2 waistband options and 5 length options. 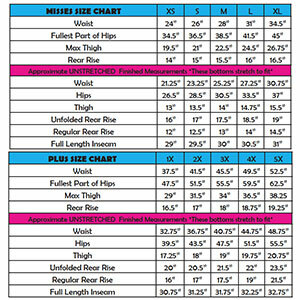 Suggested fabrics are cotton spandex (also known as cotton lycra) with at least 50% stretch or lycra spandex (also known as nylon spandex).